The Haddonfield Tennis Association will be holding its annual open and junior tennis tournaments on Saturday, June 4 and Sunday June 5 at the Centennial Tennis Courts. 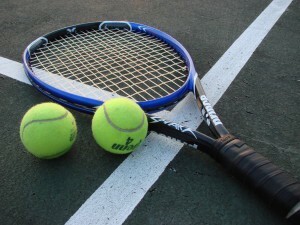 The open tournament will consist of three separate events- Mens Open Singles, Mens “B” Singles and Womens Open Singles. Participants will be competing for a total of $375 in gift certificates. The junior tournament will consist of four separate vents, Boys 18 and Under Singles, Boys 14 and Under Singles, Girls 18 and Under Singles and Girls 14 and Under Singles. Trophies will be awarded to the winner and finalist in each junior event. Each event will be limited to the first 16 people who register. All entries must be received by May 30. The entry fee is $18 for current HTA members and $24 for non-members. Each participant must provide one can of USTA approved tennis balls. Call the tournament director Mitch Winkler at (856) 428–8541 for additional information and entry forms.